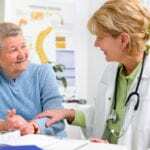 The aging population and prevalence of chronic illnesses and obesity demand a transformation of primary care. When more than 20 million residents gained access to health care coverage under the Affordable Care Act, it became even more imperative to address the challenges with the delivery of primary care. 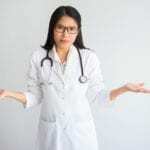 The federal Health Resources and Services Administration, or HRSA, identifies numerous medically underserved areas containing at least 55 million Americans living without proper access to primary care doctors. The HRSA believes that the widening gap between providers and those in need of care cannot be filled with physicians. 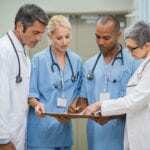 Adding their voice to reinforce the extent of the challenge, the Association of American Medical Colleges expects the shortage to worsen as one-third of the physician workforce retires. As far as filling the void is concerned, experts believe that nurse practitioners are well prepared to meet the primary care needs in underserved areas. Enrollment in the Master of Science in Nursing programs has gone up, which means more practitioners will be available to provide relief. Fortunately, for Advanced Registered Nurse Practitioners (ARNPs) in Iowa, the state has relaxed licensing laws to improve patient access to care. A body of research shows that the care that a nurse practitioner provides is as safe and effective as the care provided by a physician. In a 2010 report, the Institute of Medicine put forth 50 years of evidence that validates this claim. Graduates of the MSN program are essential to the transformation needed in primary care. Their contributions strengthen the health care system’s ability to improve population health, improve patient experience, and reduce health care costs. The Master of Science in Nursing program produces graduates capable of meeting the practice standards for advanced practice nurses in a variety of settings. The program builds on the student’s previous education and experience in nursing and emphasizes experiential and lifelong learning, community service, and care of diverse populations. Students enrolled in the program will develop competency in the use of evidence-based practice, critical thinking, and clinical judgment to provide patient-centered care. As an advanced nurse, the graduate will function in a nurse educator, nurse practitioner, or nurse administrator role. Regardless of the chosen area of specialty, graduates will be prepared to assume a leadership role in the profession. Combining their education with research, graduates will emphasize the promotion of health and restoration to health as well as engage in collaborative relationships to boost health care outcomes. The MSN emphasis is specialized nursing. The entire curriculum is based on the science of nursing and includes core courses in evidence-based practice, biostatistics, research, advanced practice nursing roles, population-based health, health assessment, health care law, financial management, personnel management, global health, and managed care. Through the specialized training, advanced registered nurse practitioners are prepared to use the concepts of the advanced nursing role in healthcare practice, demonstrate competence in a variety of health care settings, demonstrate leadership, communicate effectively, foster collaborative relationships with members of the interdisciplinary team, and engage in post-graduate developmental activities. Enrolling in an MSN program requires a baccalaureate degree in nursing or an associate’s degree for the RN to MSN program. Following is a list of options for admission to the graduate program to achieve your career goals. RN to MSN: Registered nurses with a record of academic excellence will have no challenges entering the RN to MSN program to obtain a graduate degree in an affordable and efficient manner. The program structure varies by institute. Some universities employ a career ladder model that lets students earn the BSN on the path to the MSN degree. In this instance, the student will earn the BSN after the first year. Taking a different approach, some universities will not award the BSN. Students will receive the MSN degree after completing the prerequisite courses, core nursing courses, and specialty courses. At the conclusion of 65 to 75-semester credits, students will receive a certificate and will be eligible to sit a national certifying exam in the focus area. Direct Entry MSN: Registered nurses with a BSN degree can enroll in the direct entry MSN. In 18 to 24 months of flexible online study, the student will be prepared to provide advanced practice in a chosen specialty area. The BSN to MSN pathway requires completion of 32 to 38 credits and 500 t0 650 supervised clinical hours to prepare for specialty care. Built on the foundational preparation in the bachelor’s program, students will be academically prepared to commence core nursing courses and specialty courses from the onset. Graduates may be eligible to sit a national certifying exam based on the nursing specialty. Post-Master’s Certificate: The objective of the post-master’s program is to give nurses who hold a master’s degree an educational pathway to specialize in an area that differs from the one obtained in the master’s program. Many students complete the program in two years, but a personalized option may be available to meet students’ needs. 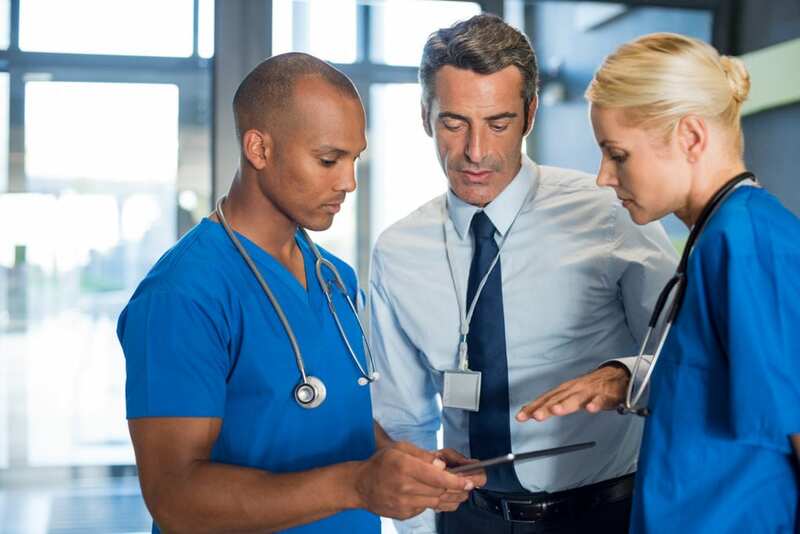 The curriculum serves to strengthen clinical skills or leadership competencies for MSN-prepared nurses who plan to expand or change their current role. Position yourself for success in the competitive admission to MSN programs. Consideration for admission to the nursing program will not be given until you complete and meet the requirements for graduate study. Information sessions may be available to provide an overview of the program’s requirements, expectations, and experiences. It will also give you a chance to discuss your goals with a member of faculty and meet other students who will share their experiences of the program in which you’re interested. Make sure the program is accredited by the Accreditation Commission for Education in Nursing (ACEN) and the Commission on Collegiate Nursing Education (CCNE). The MSN program is an investment in yourself and your long-term career goals. Due to the prevalence of MSN programs, the cost of tuition may be competitive. At an average cost of $590 per credit hour, the MSN is a worthwhile investment. Loan programs, such as the Federal Perkins loan and the Federal Direct loan may help with cost of the program. If you’re considering a program with a Nurse Education emphasis, you may apply for the Nurse Faculty Loan Program (NFLP), which is a low-interest loan with an opportunity to have up to 85 percent forgiven after completing four years in a teaching position at a post-secondary institution. The first step to apply for aid is to fill out the FAFSA application early. Visit a financial aid counselor and your employer to learn about other means to reduce your out-of-pocket expenses. Another valuable resource is the American Association of Colleges of Nursing where you will find a current list of scholarships, grants, and loans for nurses. An active license to practice as a registered nurse in Iowa or an active registered nurse license from a compact state, which is your primary state of residence. Note: A primary state is one where you hold a driver’s license, vote, and pay taxes. Evidence of completing a formal advanced practice educational program of study in a specialty that is approved by the board. The program must have a board-approved clinical experience. Active (time-dated) certification from a recognized national certifying agency approved by the board. A completed application for licensure as an Advanced Registered Nurse Practitioner. You may submit online or by mail. Enclose the licensure fee of $81 for licensure up to three years. You may submit the payment online or using check with the paper application. All documents must indicate an expiration date and must be submitted to the Iowa Board of Nursing. Documentation of current certification at an advanced level from a board-approved national certifying agency. The certification card or certificate must indicate a future expiration date. Official transcript from a master’s program or formal advanced level educational program of study. The transcript must denote the course of study, clinical experience, graduation date or completion of program. Transcripts must be sent directly from the university to the Iowa Board of Nursing. Any information pertaining to a prior criminal offense or disciplinary action. Include a copy of the sentencing order and board documentation with the application. If you are an active member of the military or a Federal Government employee and plan to remain one, you must provide employee identification such as military order, military identification, and federal employee identification. The documents for completing the licensure process must be submitted within 12 months from the receipt of the application form or when the online application is submitted. The application will be closed and the documents destroyed if the application is not completed within the stipulated period. The Board of Nursing does not issue temporary licenses. ARNP licenses are valid for three years. License renewals and payment may be initiated online. Make sure the registered nurse license is renewed. If you reside in Iowa or a non-compact state, you must complete renewal of the Iowa RN license before renewing the ARNP. If your primary residence is a compact state, you must renew your license in that state. Create an account on IBON Online Services if it is your first time renewing. Complete the application and submit renewal fee of $81 for each ARNP category. The RN renewal fee is $99. The license cannot be renewed until the board receives all the required documentation. Documents may be submitted via fax, scan, and email, or postal delivery. If you do not renew your application before the close of the 30-day grace period, you must contact the Board to reinstate your license. Iowa Board of Nursing accepts the continuing education required by the national certifying body sufficient for licensure renewal in the state. By submitting your certification card or certificate, you will confirm compliance with the Board’s requirements. Maintenance of national certification will also suffice for the renewal of an RN license. If you are selected for a random audit when renewing your RN license, you may submit a copy of the national certification card. If your practice caters to children, you must complete training related to the identification and reporting of child/dependent adult abuse. ARNPs are deemed mandatory reporters and must complete at least two hours of training every 5 years.